Beau Takes the Breed Again! Beau (Gch. Sundance My Beau’s A RoxStar) continues to dazzle the judges! As of the end of May he was number 5 Wheaten in the country! 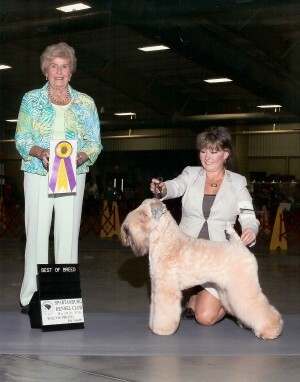 Beau is the son of our boy, Euro, and is owned by Cheryl Johnstone of RoxStar Wheatens. 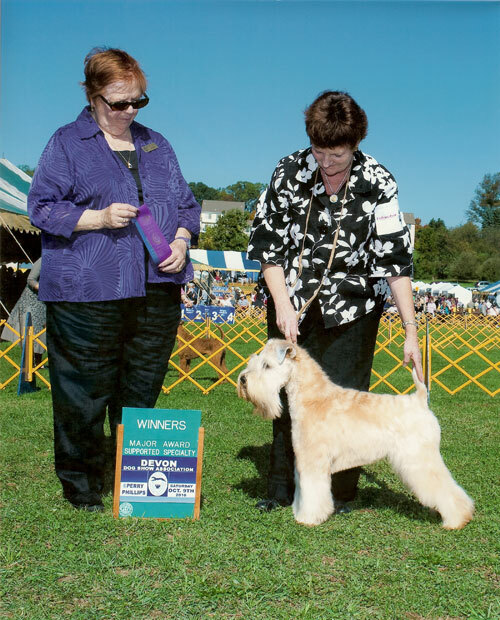 By Jeri | Also posted in Our Wheatens | Comments Off on Beau Takes the Breed Again! Jeri & Surge at the Dog Fanciers of Oregon in Portland OR on 1/17/15. Paddy is Winner’s Dog at Long Beach KC! Mack's son, Paddy, earns more points!! 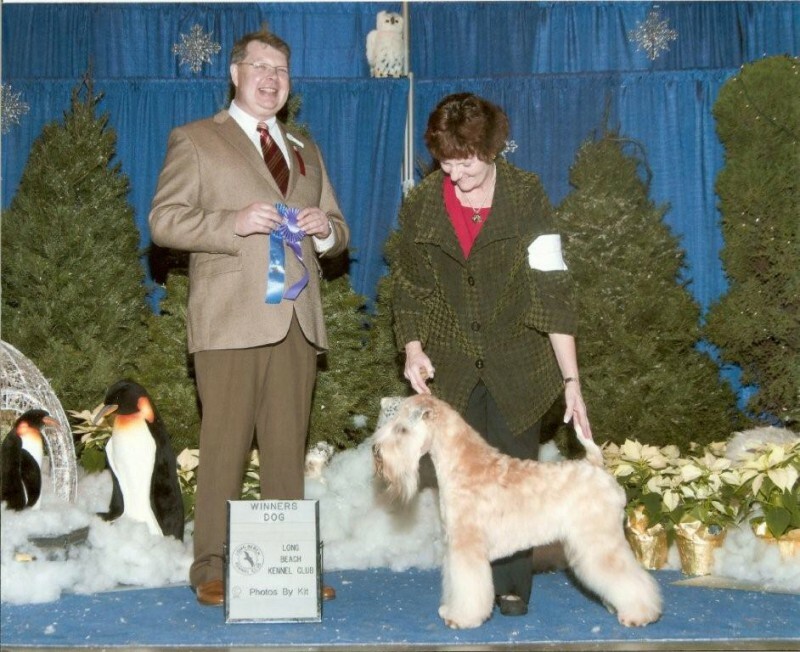 By Jeri | Comments Off on Paddy is Winner’s Dog at Long Beach KC! Paddy is Winners Dog at Devon! Paddy is Winners Dog at the Devon DSA shows on October 9, 2010 under Judge Betsy Dale – for a three point major! Paddy (Lochlinear Gleanngay Quick as a Wink) is a Mack son and is shown by his breeder, Pat Mullin. 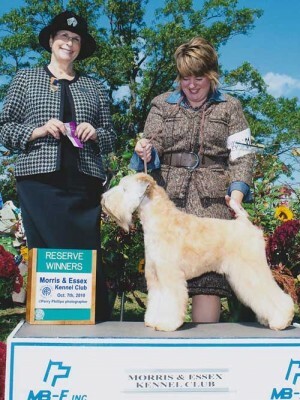 By Jeri | Comments Off on Paddy is Winners Dog at Devon!